Brochure on the Mundus maris exhibition ‘Sustainable Seas through the eyes of art’. The central theme for this year’s conference brings together a range of related debates on coastal change and adaptation. 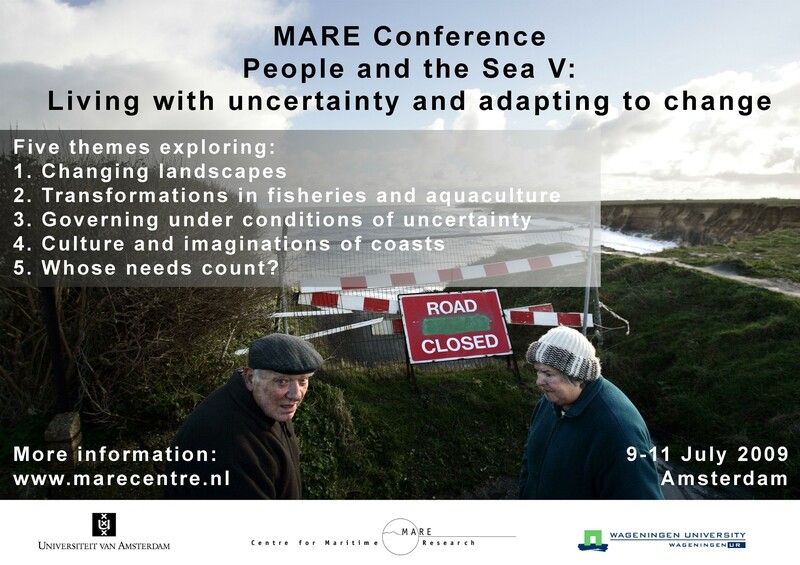 We hope the conference will be driven by discussion and debate on how people in coastal areas across the world are living with uncertainties that surround their futures, and how they are able, or not, to adapt to a myriad of changes. Declining fish stocks, habitat change, sea level rise, expanding urbanization, and a fast pace of coastal zone development in many countries create new challenges, threats and sometimes opportunities for coastal inhabitants. 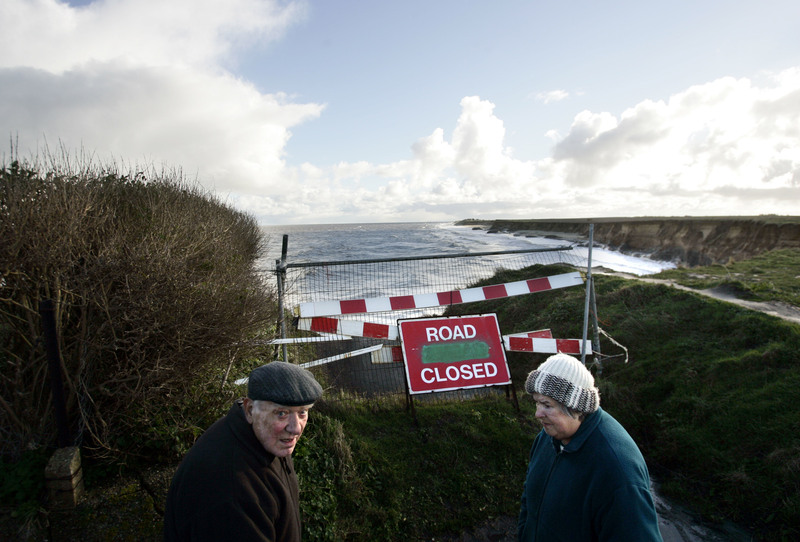 Social and natural scientists strive to understand the implications of coastal change for human society, and to integrate new knowledge into the policy arena. In particular, concern grows as to the impacts of the fisheries crisis on the world’s poorest people, especially those most dependent upon marine and coastal resources – a central theme throughout the conference. A clear challenge for coastal governance is the reconciliation of competing claims over coastal resources, especially the balance of securing ecosystem health alongside sustaining flourishing coastal societies. How can different aspirations be met and is there a common ground which can drive progress in achieving workable polices? The five themes investigated in this conference address the challengesof uncertaintyover coastalchange across different, but strongly connected sectors. These themes include transformations in fisheries and aquaculture, socio-technical changes in coastal and deltaic landscapes, the emergence of new governance arrangements under conditions of uncertainty, cultural responses to changing coastal environments, and the growing vulnerability of those who are most dependent upon marine and coastal resources. Recognizing the interrelationship of fisheries and aquaculture, this theme promotes learning between these two often separate areas of enquiry. We encourage debate over the current ‘fisheries crisis’, and the potential for aquaculture to bridge supply, as well as how society can learn from the actions, consequences, market response, and changing behaviors of both sectors in their local and global context. Papers are invited on a wide range of social, cultural and economic aspects of fisheries and aquaculture in inland and coastal regions. Exploring transformations in coastal and deltaic landscapes requires an understanding of the physical, ecological and social interconnection of marine, coastal and riverine systems. This theme focuses on change and uncertainty associated with landscape change by exploring processes of urbanisation and industrial modernisation in coastal regions. We invite papers on a range of issues including, but not limited to, coastal cities, energy production, harbours and shipping and sea defenses. Through the ongoing transformation from linear ‘management’ to complex ‘governance’ approaches new capacities and skills are increasingly required throughout society. The Governance of coastal and marine resources inevitably involves high levels of uncertainty – political, societal and scientific. The governance challenge is to overcome conflict by bridging fundamental differences in values, understandings and agendas in coastal and marine regions. In this theme we invite a broad range of papers that explore the potential for governance arrangements, for example, adaptive governance to overcome these conflicts. ‘Culture and imaginations of coasts under change’ prioritizes MARE’s original foundations in maritime anthropology – valuing the sea in all symbolic and imaginary dimensions. What does ‘the sea’ mean to people from various walks of life, and particularly to do those who depend on it for a living? It is well known that to fishing society, exploiting and exploring the sea is much more than a way of life: it is a way of living. How, therefore, do people relate to the sea in terms of culture, religion, myth and ritual? Ethnographically, we still stand in need of detailing its symbolic dimensions and especially how users of the marine domain lend significance to what they do and in which ways they do so. Theme 5 Whose needs count in adapting to change? In the many transformations of people and the sea, the needs for economic growth, environmental conservation and human development often profoundly collide. This collision is particularly severe in the global south, where a growing human population competes with other sectors for limited coastal resources. Worldwide, the growing vulnerability of coastal people to resource collapse, livelihood abandonment and coastal risk is increasingly evident, and throws into doubt global capacity to meet several of the Millennium Development Goals. This theme runs across the entire conference analysing coastal change in the context of the coastal poor and marginalized, processes of participation, and coastal justice. We envision a special roundtable session on wellbeing and fisheries with invited speakers working on conservation, poverty and fisheries research. Executive-Director of the Fisheries and Food Institute and researcher at CAPESCA-PREAC-UNICAMP. Prof. at University of Manitoba, Canada.